Naturally, most research in this field is happening in coastal regions. But Andrea Grottoli, professor at The Ohio State University School of Earth Sciences, is conducting some of the world’s leading research on coral resilience — right here in Ohio. 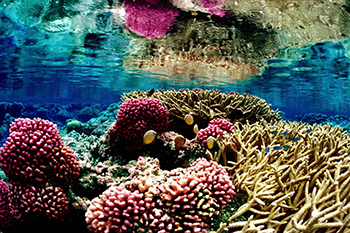 “A coral’s microbiome is thought to be a part of the immune system, just like it is in humans,” Grottoli said.